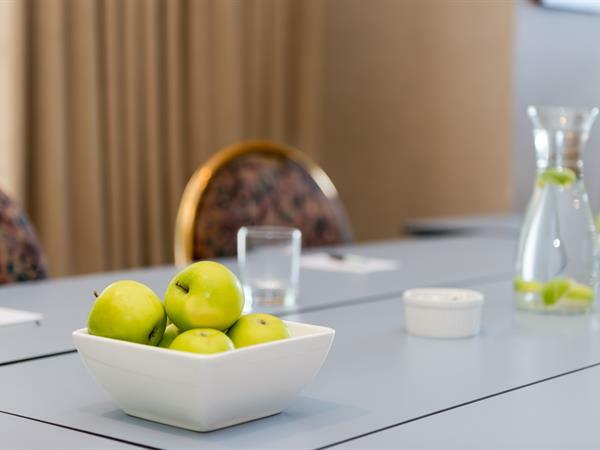 Popular air conditioned Whangarei meeting room for hosting small meetings and conferences of up to 18 people theatre style (15 people in boardroom style or u-shape style). Natural light and door that opens to the outdoors. Whiteboard, projector, flip chart, 42" flat screen TV and blackout curtains are provided. Catering available from our on-site restaurant and bar. Delegates can make use of the garden area including flowing lawns, landscaped gardens, bbq area and outdoor swimming pool during break-out sessions and team building. 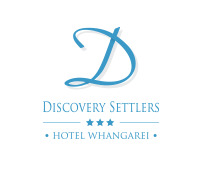 We also offer a Conference Day Delegate Package - only $980 per day for up to 20 delegates. ($48 per person for any extra delegates). It includes meeting room hire and full set up, arrival tea & coffee, morning & afternoon teas & lunch. Our value for money Day Delegate Package removes the hassle from planning your conference. If you have 12-20 delegates for your conference then this is best option for you. Hosting a larger conference or event? Please enquire about our larger functions area - Settlers Bar & Grill.